YouTube TV, the streaming giant's take on a live, internet-based TV service, has officially launched in the United States. Available on both iOS and Android, YouTube TV offers live streaming content from traditional broadcast networks, as well as several cable channels, for $35 per month. Just like similar services from AT&T and Sling TV, YouTube TV lets you watch its live content on your iPhone or iPad wherever you are. Here's everything you need to know about this new streaming service. What's new with YouTube TV? YouTube TV will soon add a number of Turner channels to its lineup, including CNN, TNT, TBS, and Turner Classic Movies. The service will also be raising its base subscription price for new subscribers on March 13, moving from $35 per month to $40 per month. It's unclear at this time whether this price increase will also be applied to existing subscribers. Apple fans rejoice: According to a report by David Katzmaier for CNET, a native app for YouTube's cable alternative will be coming to an Apple TV near you "very soon." 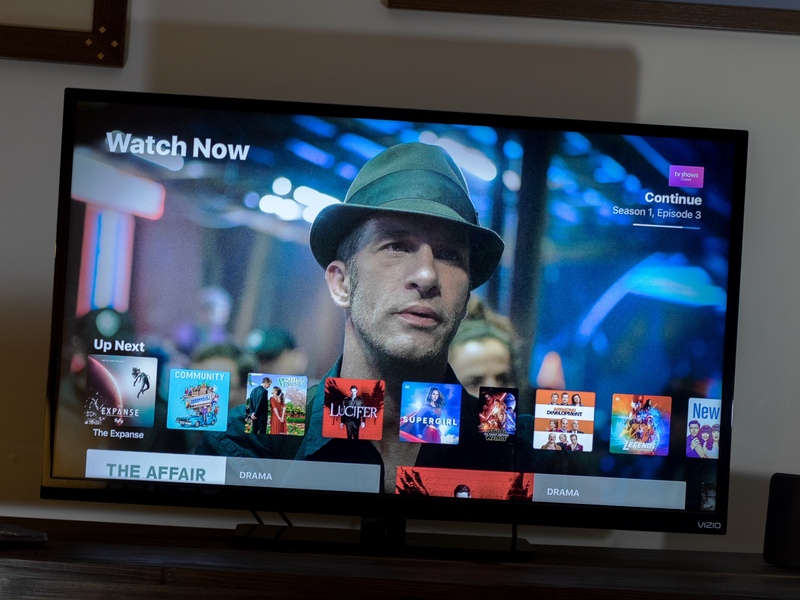 The service, which costs $35 per month, is already available on media streamers like Android TV, Xbox One, Chromecast, Samsung and LG smart TVs, and most recently Roku. At the moment, customers can only enjoy YouTube TV on their Apple TV by broadcasting it from their laptop, tablet, or mobile device to their big screen using AirPlay. When YouTube TV was initially released, YouTube did announce that a native app for the service would be available on Apple TV eventually, but never specified exactly when. Now, a YouTube representative has officially confirmed to CNET that the app is "coming very soon." If you'd like to get ahead of the curve (or if you just want to make sure YouTube TV is for you before you add it to your devices), you can sign up for a free 14-day trial of YouTube TV by heading to the YouTube TV website and clicking on "Try it Free." Happy watching! So what is YouTube TV? It's YouTube's streaming TV service, similar to offerings like Sling TV or AT&T's DirecTV Now. With YouTube TV, you can watch live programming from broadcast networks like NBC and ABC and cable channels like ESPN and FX. There are also channels that you can add on to your subscription. How is this different from a cable TV subscription? Once you've signed up, you can take YouTube TV with you wherever you go. While many cable services offer apps that let you stream channels around your home, the channel selection often gets cut down when you head out. Additionally, there are no commitments or contracts when you sign up, and you can cancel at any time. Finally, YouTube TV costs a lot less than the average cable subscription. For $35 per month, you get access to 40 channels, with more to be added over time. You can also add Showtime for another $11 per month and Fox Soccer Plus for $15 per month. When you sign up, you can get a free one-month trial, after which you'll need to pay. So exactly what channels am I getting for my money? YouTube notes that ABC, CBS, FOX, NBC, and The CW are available as video on-demand-only stations in some markets. For instance, it doesn't appear as though The CW is available live in any market, while NBC is only live in a select few markets. YouTube TV's cloud DVR lets you record shows without any storage limits, though you'll only be able to keep your recordings for 9 months. So is it one person per subscription? Actually, you can have up to six accounts per subscription, great for sharing with family members or roommates. Keep in mind, however, that you can only watch up to three streams at once. You mentioned iPhone and iPad, but what about Apple TV? At launch, the only way to watch YouTube TV on your television is with a Chromecast, though of course if you have a Chromecast-enabled TV already, you're set. The app doesn't support Apple TV at this time. However, YouTube does say that they'll support "even more connected TV devices" later this year, so take that for what you will. Sounds good. Where do I sign up? If your city isn't on the list, you'll still need to wait before you can take advantage of YouTube TV. Why do I have to wait, exactly? YouTube needs time to cut deals with the different content providers that it wants to offer through its service. Part of the appeal of YouTube TV is that it's a live TV service that doesn't act like a traditional cable bundle. Part of this kind of experience for most people is the ability to watch broadcast networks like NBC and CBS live, particularly important for programming such as news and sports. Generally, YouTube needs to make deals with each local broadcaster affiliate as well, rather than CBS, NBC, or others directly. And even when the company has found more success in its initial stages than competitors did, we still see channels like NBC and The CW only available on-demand in a wide range of markets. Alright, fine. When will it come to my area? YouTube doesn't have a schedule for when it expects to roll the service out to new cities, but you can sign up here to be alerted when it is available. Additionally, if you try to sign up through the app only to find that YouTube TV is not available in your area, tap the Alert Me When Available button, enter your email address, then tap Submit to sign up for an alert. If you have any other questions about YouTube TV, let us know in the comments. Update January, 2018: Added all of the new cities into which YouTube TV has expanded. Also updated the channel list to reflect the current lineup.